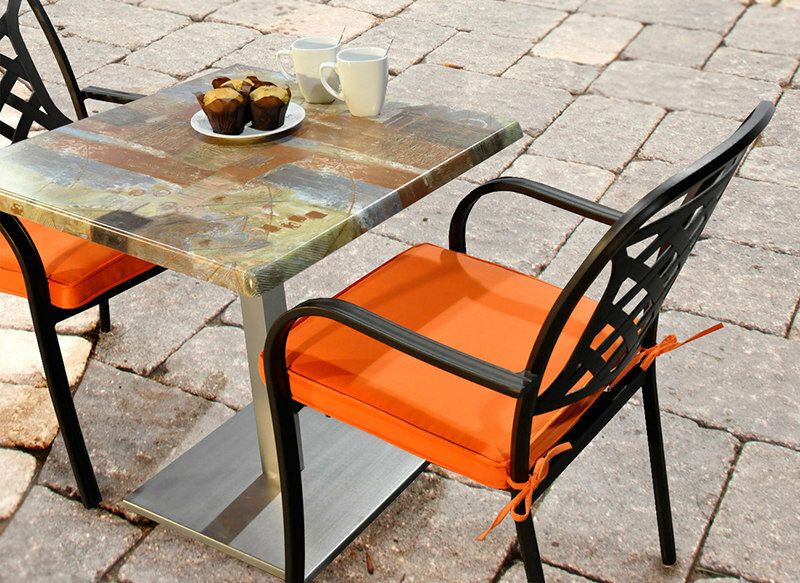 Suitable for patios, cafes, bistros, bars, verandas, balconies, decks, kitchens and dining rooms or anywhere a small table is needed. The square base measures 18"x18". The cast aluminum connection with crossbar will attach the bistro table top only which measures 28"x28"